Join our players at the Glenferrie Road Festival on Sunday 3 March. With player signing marquee and Hawks merchandise available, this street party will also feature an abundance of fine food, street food, live entertainment, fashion, rides, popup bars and kid’s activities. Make sure you make it down to see our players, get photos with Hawka and Hawkette, buy your new Hawks merchandise and sign up as a Member for 2019. Hawthorn's 2019 captain Ben Stratton will be at the festival from 11am-12pm. Merchandise and player signing on Linda Crescent, Hawthorn (outside Readings). Click here to find out more about the Glenferrie Festival. Don't want to forget the event? Click attending on our Facebook event. Watch the Hawks prepare for the match at our home, Waverley Park. With special appearance from Hawka and Hawkette, kids entertainment and a player signing session, these are training sessions not to miss. HawksNest, Membership and the Museum will be available. Be a part of the pre-season and come to our Christmas Open Training. Witness the 2020 player guernsey number reveal and meet our new players. With kids activities, player autographs and a visit from Hawka, Hawkette AND Santa, this is a day not to be missed. Come and watch the Hawks go head to head in our open intraclub at Waverley Park. This is a great night out for you and the family. There will be kids activities, food trucks, drinks, an appearance from Hawka and Hawkette and players signing post-match. This is a night not to miss! HawksNest, Membership and the Museum will be available. Fans are encouraged to bring along their once loved Hawks scarves and tie them to the fence in front of the John Kennedy Statue. The scarves will be collected and distributed by the club as we aim to give back to the community. Limited parking available - minimal on-site parking available, we recommend you carpool or take public transport. On a first in, best dressed basis, drive up to the Nissan car park for VIP parking to the event!! To celebrate Nissan’s partnership with the Zoo Twilight Series, Nissan will be running a competition to win tickets to your choice of The Cat Empire or Hanson concerts this month – look out for the Navara located on the concourse and guess the number of balloons for your chance to win! Be sure to check out the Nissan GTR located out front of Hawks Nest. The Macca's family zone is the place to be! Come and join the fun with inflatable footy goals and handball targets! 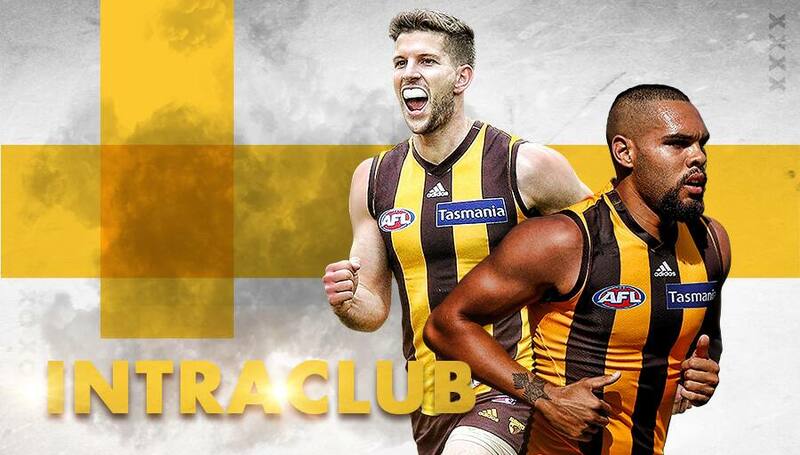 Hawthorn Love the Game, not the odds! The Love the Game team will be giving away FREE SLURPIES and autograph posters at our Intra Club Match. Make sure you come on down to tell them why you love the game. Come to Intra Club and collect your Hawthorn Football Club United fuel card for your chance to win a signed football - all thanks to United!